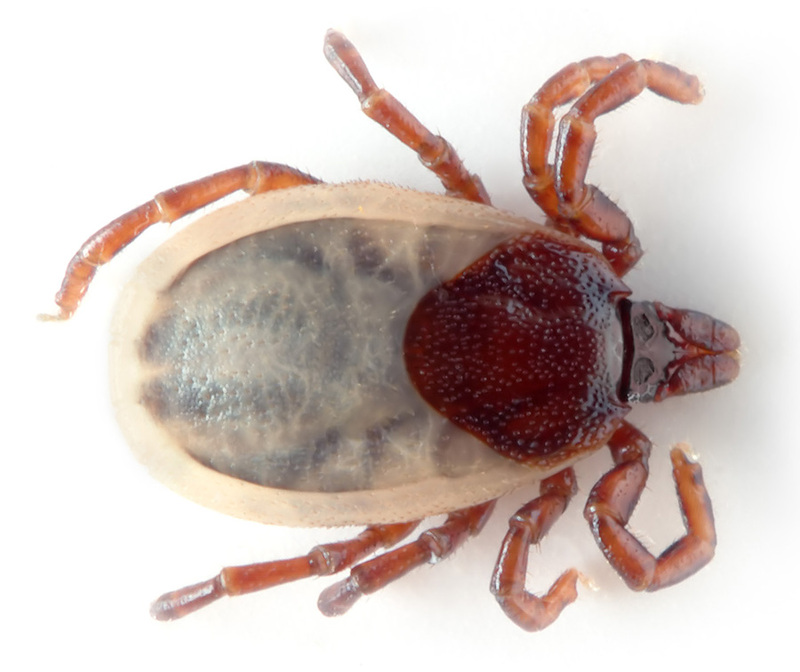 Ticks are parasites that feed off the blood of a host. As they feed, they release anticoagulants, chemicals that prevent blood from clotting (stopping). There are many species of ticks, some which spread disease to humans (Lyme disease, Rocky Mountain Spotted Fever). Ticks are not bugs, they are arachnids, which means they have 8 legs. Some ticks are round (like beans) while others are flat with festoons (folds that look like a ridge) around their abdomen.